Chris Kostman: Who Needs Him? Lots of Us – This Ultra-Athlete Organizer Knows How to Take You to the Limit. 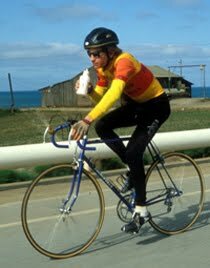 In April 1988, for one of my first articles as a journalist, I was doing a handicap of that summer's Race Across America for the regional, now-defunct California Bicyclist magazine. None of the contenders I interviewed was a household name. Everyone pretty much said the same thing: "I've been training 400 to 700 miles a week, there's lots of competition this year, and I'm going out to win." No one's words or personality really stood out. Except for one guy: Chris Kostman, a U.C. Berkeley junior who'd finished the race the year before as a 20-year-old, making him (then) the youngest-ever finisher and a celebrity in his hometown of Glendora. His personality was way beyond confident. 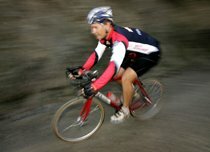 Kostman said his unusual training method, which entailed riding a ridiculously low number of miles per week compared to everyone else, plus his unusual diet, composed of substances apparently only known to NASA astronauts, plus his super-secret sleeping method, known only to Himalayan monks, would make him the uncontested star of the 1988 race. His ride would not only obliterate the field, but so revolutionize RAAM and ultra-endurance cycling in general that people would be writing about it for years, studying it as if it were a guide not just to cycling, but to a new level of human consciousness. When I put the phone down after the interview was over, I said to myself, "Well, that young guy has to be the most arrogant, self-admiring, self-congratulatory narcissist I think I've ever met." Then I thought, "He's kind of cool." After all, nothing Kostman said was offensive, really. He was pretty interesting and actually quite respectful of the other riders. He just thought that he was really good and really smart – and he had the resume to back it up. Who doesn't want that kind of self-image? Four years later, while I was editing the national, now-defunct Bicycle Guide magazine, (see a pattern here?) Kostman called me up to pitch a story idea. When I mentioned that I was writing a big 16-page review and feature article about the explosion of affordable front-suspension mountain bikes – a big deal in 1992 – he scoffed. There it was again, the arrogance – the weirdly intriguing, over-the-top, strangely compelling arrogance. But again, he was more interesting than offensive, and could always back it up. 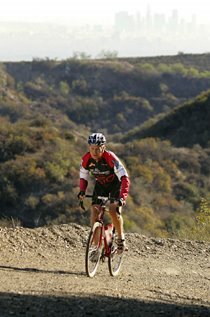 Although he hadn't finished the 1988 RAAM due to a pinched nerve in his neck, the next year he set the world's first 24-hour mountain-biking record of 242 miles. 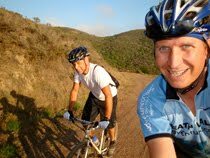 And, as proof of his off-road prowess, he came down to L.A. a couple days later and took me out on the trails in the Santa Monica Mountains. 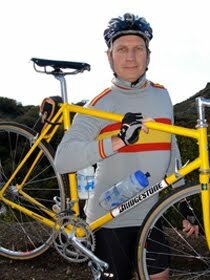 He rode a Bridgestone XO-1 road bike with odd, S-shaped “mustache” handlebars. He loved it. I loved it. I ran the most scathing letters in the next issue, calling them an article on their own. At bike industry gatherings months later, everyone was still talking about Mountain Bikes: Who Needs Them? And everyone was reading the magazine. I figured I'd better get to know this guy. 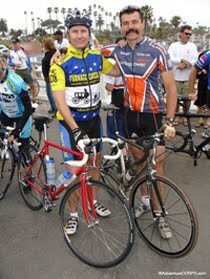 And over the 20 years since I first interviewed him, I've seen Chris Kostman carve out a multi-faceted niche that is unique in cycling and endurance sports. He's a record-setting athlete with a penchant for crazy events like the Iditabike and the Triple Ironman; a trend-spotter and coach who rode the L.A. personal-trainer wave like John Travolta in the movie Perfect, and helped turn a local trend called Spinning into a world-wide phenomenon; and an entrepreneur who's built endurance events that are among some of the most sought-after by athletes from all around the globe, including the Badwater Ultramarathon and the Furnace Creek 508. Kostman is not a celebrity like Lance, and he's largely unknown to general public, but he's one of many crucial behind-the-scenes links in a chain that makes the endurance sports scene thrive. And best of all, he hasn't lost the attitude, that oddly ingratiating arrogance that he exhibited in a ten-minute phone call two decades ago. In fact, it's clear that he's succeeded because of it. “We're Out There,” is the slogan of Kostman's events company, AdventureCORPS. It fits, because even as a kid, he was out there. At 13, on a yearlong driving trip around Europe and North Africa with his adventurous parents (both teachers on sabbatical), he dipped a toe in the Arctic Ocean and climbed one of the great pyramids at Giza. The trip left him with more than a nice photo album. “It made me realize that I don't want to wait to engage the world until I'm 70,” he says. When he got home, he started engaging it by bicycle. Soon, while other kids were hanging out at the beach, he was pedaling there on a bike – a 100-mile round trip. 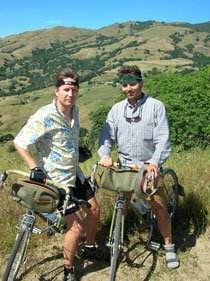 A year later, Marino made Kostman an honorary lifetime member of the Ultra-Marathon Cycling Association after the 17-year-old set a world record by riding a bike from San Francisco to Los Angeles in 31 hours and 13 minutes. That record established a pattern for Kostman, of setting records at things no one had ever thought of before. A week later, his S.F.-L.A. record was broken, so Kostman set a new one of 22:38 in 1985. A month later, that mark was also broken by Michael Shermer, another RAAM founding father. 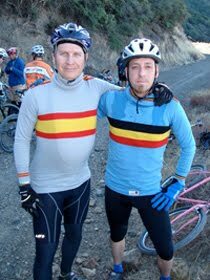 “I was so honored – another one of my idols, beating me at an event I came up with,” said Kostman, who still owns one world record: the 24-hour tandem off-record of 245.23 miles, set with Bay Area bike shop owner Ed Levinson in 1990. 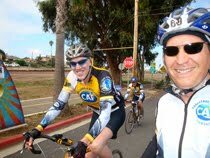 With RAAM riders as heroes, it was just a matter of time before Kostman geared up for the big one himself. At age 20, while other college kids were chugging beer and partying all night long, Kostman was riding all night long, setting a new “Trans-California” speed record from the Huntington Beach pier to the Colorado River. 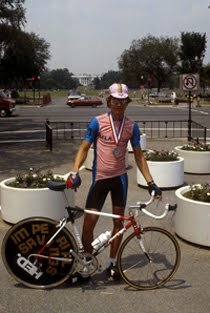 Months later, backed by a promotional campaign with a local bank that is still legendary in ultra-cycling circles, he become the youngest RAAMster, finishing the grueling 3,127-mile route from San Francisco to Washington D.C., the longest and most mountainous ever, in 10 and 1/2 days, good for ninth place. Hoping to "traverse land more home to moose than man," the certified scuba-diving instructor and Berkeley Master's degree holder (in Arabian Gulf Archeology – he speaks fluent French and passable Hindi) headed for Alaska, racing the snowbound 200-mile Iditasport mountain bike race in the winters of 1988, 1989, and 1991. He then opted for the 100-mile snowshoe division, finishing three races from '93 to '96. Two 11-hour Ironman triathlon finishes in the early 90s naturally led to extreme events few sane people dare: the 1993 Triple Ironman in France (53 hours, 27 minutes), and the Vermont Earth Journey (a 5.5-mile swim/263-mile bike/51-mile run). Plus, he was already starting to earn a living from cycling by then. “I was producing races while I was in college,” he says. In the fall of 1990, while working on his Master's, Kostman organized the Furnace Creek 508, a 508-mile qualifier for RAAM once known as the John Marino Open. 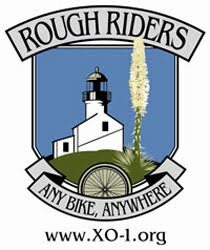 A crazy-hard challenge that blitzes northeast to southeast, from Santa Clarita to Death Valley and the Mojave Desert, the 508 has grown from a RAAM qualifier with 25 soloists to an independent event with 100 soloists and 150 relay racers. Based on his 508 success, Kostman created Team RAAM in the summer of 1992; it grew exponentially for five years until RAAM organizers, noting its success, reabsorbed it and squeezed him out. 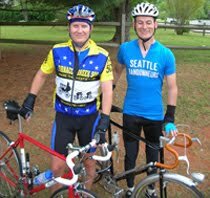 From 1993 to 1995, an old friendship with fellow RAAM competitor Johnny G made Kostman part of the team that developed Spinning, the now-ubiquitous indoor cycling class. 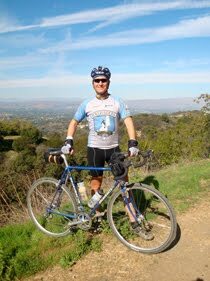 Hired to organize the first Los Angeles Marathon Bike Tour in 1995, he spent the next few years teaching Spinning classes at Sports Club L.A., creating and managing a cycling program for the Bodies in Motion chain, and traveling the world training instructors. Kostman began transitioning out of the gym when his reputation for well-organized races in Death Valley led to requests for him to take ownership of marquee events like the Badwater Ultramarathon (in 2000) and the biannual Death Valley Century and Double Century in 2001. 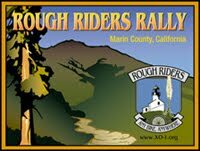 That year the Juvenile Diabetes Research Foundation (JDRF) also asked him to manage its Death Valley-based Ride to Cure Diabetes. His events have raised large sums for the Challenged Athletes Foundation as well. His successes have given Kostman the time and resources to indulge in some of the quirky events he enjoys. He's kept up his triathlon bona fides with frequent participation in the standard-distance, 140.6-mile Ironman Revisited race on Oahu in the last few years. In May, he arrived home from a week with his girlfriend at the Lake Pepin 3-Speed Tour, in which all the participants cruise the environs of this quaint Mississippi River lake in Minnesota on old, English three-speed bikes. The next day, after finalizing some details on his new weeklong CORPS Camps (extreme cycling and snowshoe vacations in Mt. 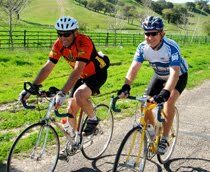 Shasta, Death Valley, and Paso Robles), he was off to Worcester, Massachusetts to join Greg LeMond, John Howard, and Edwin Moses for the unveiling of a statue of Major Tayor – the African-American rider who won the 1899 world cycling championship. Something of an elder statesman due to his early start on the endurance scene, Kostman was given a lifetime achievement award from RAAM and inducted as a Fellow at the prestigious Explorers Club at age 30. “Even now, at 41, it still seems like I'm younger than most of the participants in my events,” he says with amusement. As for his personality, and the unvarnished, opinionated pontification that used to cause people to call him an egomaniac, Kostman insists he hasn't mellowed with age – “but I have certainly learned how to package my message and present myself in a more constructive manner,” he says, carefully. Still, he tells it like it is. “I severed my ties with RAAM because I don't like what they're doing to the race and the sport, and I use my adventureCORPS.com website to promote my environmental agenda and the national parks," he says. “The world needs more outspoken people, and I've got a good platform with these events that sell out so quickly. 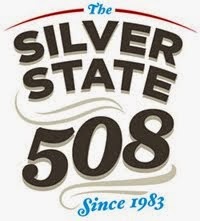 The 508 is bigger than ever. That gives me confidence that we're doing the right thing.” On his agenda for the future someday: a book and a magazine. “Funny thing, after 15 years, I still get emails about that story,” he says proudly. “People have told me that it changed their lives. It said that the bike is secondary to the experience; that less can be more; that you can have a better experience getting more in touch with the landscape in a more real and authentic way. 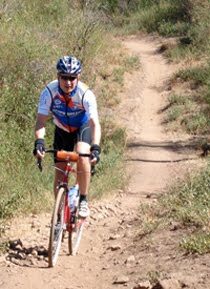 It's easy – I just swap out the 700C wheels on my Ritchey Break-Away (fold-up road bike) to 650B wheels with a 32-diameter tire, and it opens up the possibilities of what you can do – road, dirt, rocks, sand, anything. 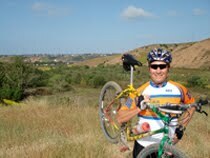 Roy M. Wallack is the co-author of Bike for Life: How to Ride to 100. Click here for Roy's article at Competitor.com. Click here for "Mountain Bikes: Who Needs Them?"